The vegan solution is the only hope for our future. It contains the power to address and solve the many interconnected issues of health, water, food and land availability, hunger, climate change, destruction of natural forests and violence. The meat and dairy industries are among the biggest contributors to water scarcity. It takes 1000 litres of water to produce 1 litre of milk. Farmed animals require large amounts of drinking water and huge volumes are used to grow the crops that feed them. In a year a vegan uses around 10 000 gallons of water. A meat eater would use 320 000. The forests are destroyed to grow crops to feed livestock and in so doing many species of wildlife are losing their natural habitats. 80 percent of the forest that is being cut down in the Amazon is to support animal agriculture. In contrast a vegan diet requires one fifth of the land needed for a typical western meat eating diet. There is more than enough food to feed everybody on the planet, yet people go hungry while 35 percent of the world’s grains are fed to livestock. For every 17 kg of high quality vegetable protein that livestock eat only 1 kg of meat is produced. It has been calculated that the feed grown worldwide for livestock, if released for human consumption, could be sufficient to feed 3.5 billion people. The world population currently sits at around 7 billion, expected to rise to between 8 and 10 billion by 2050. To be able to feed everybody, now and in the future, a reduction of livestock farming and a transition to a more plant-based food pattern is essential. Animal Agriculture is a major contributor to the climate crisis. It has a bigger negative environmental impact than transportation – all the cars, planes and trains etc in the world. The magnitude of the threat of climate change and the importance of reducing greenhouse gases over the next few decades makes the reduction of livestock production an essential solution. Supporting a shift towards a plant based diet is a key part of this process and farmers must be encouraged to change from livestock to growing protein crops for human consumption. 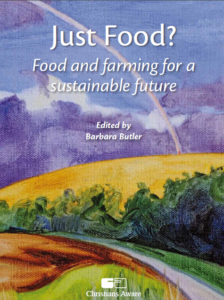 In November 2006 the United Nations Food and Agriculture Organisation produced a report (Livestock’s Long Shadow – environmental issues and options) on the devastating effect that animal agriculture is having on the planet. The report makes it very clear that if we continue to eat meat, fish and dairy at the current level we will be destroying the planet and ultimately our survival as a species. Yet such is the power of the meat and dairy industries that so little attention has been paid to this report. Even at the Paris climate conference the issue of livestock and intensive farming was hardly mentioned. A plant based diet is the most effective diet for reducing greenhouse gas emissions. The cruelty of the animal farming industry is neither acceptable nor sustainable. Do we really want to force fellow human beings to commit murder on our behalf just so we can eat meat and dairy – food that we do not need to maintain a healthy lifestyle? These acts of violence and cruelty (such as separating a calf from its mother so that we can have the milk nature intended for the calf) brutalise people and desensitise them to suffering. There are many powerful testimonies of people who once worked in the meat and dairy industries who have made the change to a vegan diet. Only Compassion and Kindness are truly sustainable. If we want to build a more peaceful compassionate world we need to move to a vegan way of living. We have a moral imperative to choose and advocate for plant-based diets for the health of our planet and the well-being and survival of generations to come. Making the transition to a vegan way of life and eating a plant based diet is the single most important step an individual can make for the future of our planet and civilisation. There are challenges that stop some people from going vegan, but challenges like overcoming old habits are small compared to the harm that’s being done to the environment and the suffering of animals. 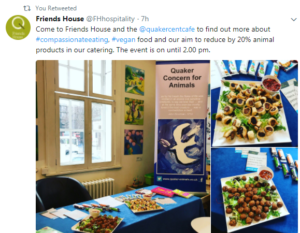 Veganism is becoming more accessible and attainable as more restaurants cafes and supermarkets introduce vegan foods and meat and cheese substitutes. A shining example was set by the café Pret a Manger who opened a veggie pop up store in London. Instead of running at a loss, as predicted, sales rocketed by 70%. Sainsburys supermarkets similarly were amazed at the popularity of their newly introduced vegan cheeses which surpassed their expectations. Research commissioned by the Vegan Society shows that there is solid evidence that vegans now make up at least one per cent of the UK population and that this is growing rapidly. More and more people globally are seeing the importance of veganism for personal health as well as the health of the planet and our civilisation. Denmark has been pushing for a move towards plant based protein and in 2016 the Danish Council of Ethics produced a report that proposed a nationwide climate tax on red meat to discourage its consumption. The price of beef would therefore more accurately reflect its damaging impact on the environment. The Chinese government made public its goal of 50% reduction in meat consumption towards 2030. Both the Netherlands and Sweden have updated their dietary guidelines to include the environmental benefits of plant-based diets, and the German Ministry of Environment has even banned meat from all its official events. In Portugal, they are working to make vegan options available in all public institutions. By making the transition to a plant based diet we can improve our personal health, protect the planet and endangered species, alleviate world hunger and reconnect with the other animals who share our world. So I believe that the only truly sustainable farming is plant-based organic farming, growing food to nurture the body and soul in the way that God originally intended; farming that is kind to the land, the people and the animals.